Freda B. Cowan, 88 of Moncton, passed away peacefully in the presence of loving family on Sunday, October 12, 2014 at K. E. Spencer Memorial Home in Moncton. Born in Brunswick, Maine, she was the daughter of the late Fielding and Annie Smith. Freda is survived by her loving husband of 63 years, Glen, sons Robert (Sue) of Moncton, John, Andrew (Carol) and David and daughters Nancy Fitch (Bruce) and Ruth all of Riverview. Freda is also survived by grandchildren Geoffrey, Scott, Nathalie, Andrea, David, Colin, Chris, Ben, Kristin, Amanda and Beverly, Lauren, Lucas and Jenna and several great grandchildren. Freda is also survived by sisters, Chrystal Emmerson (John) and Audrey Cann; brother, Fred Smith (Bonnie); sisters-in-law, Audrey Cowan and Lois Shields; as well as many loving nieces and nephews. In addition to her parents, Freda was predeceased by her brothers, Donald and Harold, and one sister, Vera. During her faith full life, Freda left a legacy of love as loving wife, mother, grandmother, sister, aunt and friend. She was an enthusiastic fan of her children’s and grandchildren’s sports, a competitive bowler, an avid bridge player and other card games with many friends and family. She filled a room with her love of life and laughter. She began her working life in Halifax at Sears and then CIL before devoting her life to her family. In later years she was a bookkeeper in various family businesses. Freda had a deep faith and was active in churches in her community in Gunningsville, Codys and Moncton singing in choirs and as a soloist. In her last years, she was an active member in First Baptist Church and was involved in the Evelyn Eaton Women’s Missionary Group, the Idlehour Seniors Fellowship Group, the senior choir, as well as several bible study groups. Freda enjoyed many years as an active member of the Engineers Wives group and enjoyed sharing her love of music, singing and playing the piano at family gatherings and teaching piano. During her retirement years, Freda enjoyed winter vacations with Glen, family and friends in Longboat Key, Florida and keeping the family together with Christmas dinners and family gatherings. As per Freda’s wishes there will be no visitation. 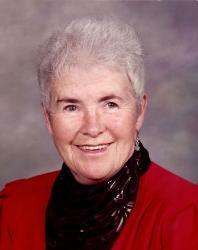 A Celebration of Life Service for Freda will be held at First Baptist Church, 157 Queen St. Moncton, on Wednesday, October 15, 2014 at 11:00 am with Rev. Dr. J. Richard Jackson officiating. Reception following the service in the church hall. Interment to be held in Alderwood Cemetery, Riverview. The family would like to thank the staff of K. E. Spencer Memorial Home for the love and care shown for Freda during her residence at the home and especially during her last days. Fergusons Funeral Home, 1657 Mountain Road, Moncton (858-1995) in care of arrangements.